Ditch your dull drives for an SUV that’s both safety-driven and adventurous: the 2018 Toyota Highlander. Buy or lease the new Highlander to enjoy a family-friendly SUV that’s equipped to keep your crew of passengers safe and entertained at every turn. Toyota engineers have also outfitted each new Highlander SUV with premium performance capabilities, so you can traverse every last part of Rhode Island in style. Interested in exploring the 2018 Toyota Highlander in more depth? Visit our Toyota dealership near Providence, RI, to test-drive this new Toyota SUV today! 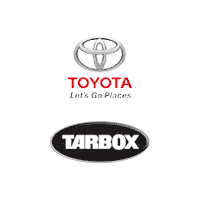 Get a closer look at the 2018 Toyota Highlander and test-drive this new SUV at Tarbox Toyota today. Our financing specialists will help you find the ideal Toyota financing option that’s right for you!